KAMERS is excited to return to the historic Castle of Good Hope for its third autumn Cape Town event. We’re not into the perfectly made or the mass produced – it’s about high end true craft, slightly imperfect, timeless and originally designed… that special something that is only found at the show. For the next edition of Kamers Autumn 2016 we are heading back to the historic Castle of Good Hope where our first Cape Town was introduced three years ago. Not only do we get to showcase the coolest things you’ve never seen, but we get to do it in the newly renovated building. And of course there will be some sweet sounds to complement all the shopping and feasting! 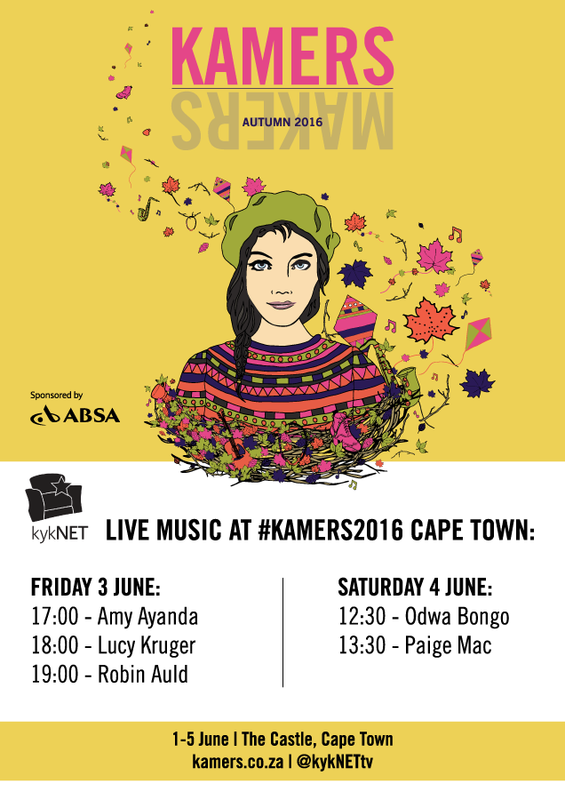 The Kamers event is one of my favourite events in Cape Town. Every year, I discover more South African creatives doing AMAZING things. The event details follows. Over 100 unique creatives and foodies have been handpicked for their exceptional craftsmanship, out of over 600 applicants, to make your KAMERS experience unforgettable. Come enjoy these artists at Kamers Cape Town during the show on Saturday or after the show on Friday. If you want to come only for the music, food and wine on Friday, tickets will be available for R30 from 16:00-19:00 at the entrance. You can read the full line up here. What an amazing group of vendors, and such a beautiful venue… lucky you! !